I've gotten some feedback from our European readers, that CarBuying should cover more in regards to the international market. Well, this one is for you. 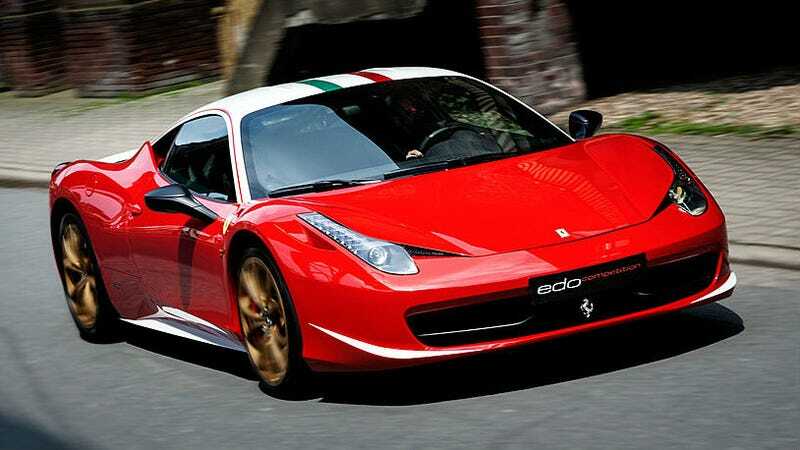 Edo Competition in Germany has this custom ordered "Niki Lauda Edition" 458 listed for only 285,000 Euro (aprox 386k USD). The customer wanted to pay tribute to the 3-time world champion F1 driver, and requested cosmetic enhancements that resembled Lauda's iconic F1 racecar. Personally, I'm partial to the F430 proportions over the 458, but these extra touches really take this Italia to a whole other level.